DJ / EMCEE / or Event Director...how about all 3! : 12 months to go before your wedding?...What should you be doing to get ready! DJ / EMCEE / or Event Director...how about all 3! 12 months to go before your wedding?...What should you be doing to get ready! 1. Officially announce your engagement ...by social media, with a save the date card, maybe a fun wedding website to link your friends too...even in your local paper. Did we tell you that we can do a save the date video for you? check out a sample on our website at www.starproductionsdjs.com. 2. Consult with registry office (County Clerk's office) and Officiant/Minister/Reverend or Pastor. Need a list of officiants? Let me know we know some really great ones....even non denominational. 11 months prior to your wedding day. Here are the wedding items you should be searching for or confirming with a deposit now. details....www.starproductionsdjs.com. just go to client log in area. need your password again? 2. Decide on a formal, semi-formal or informal wedding. Clothing type? Colors? 4. Find or confirm your ceremony location. 5. Decide whether you need/want pre-marital counseling. shot itinerary? Would you like one? 7. find or confirm your caterer. 8. find or confirm your florist. the above services or if you need anything... We're always here to help! Thank you for posting on our site. Please keep your posts specific and tailored to alot of different readers who are getting married..thanks! I work in an awesome industry and love helping people create unique, organized, worry free and fun events! 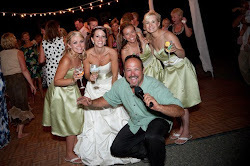 Dave Star "Bend's Bridal Guy"
2014 Celebrations Magazine is available now!